The Young African Leaders Initiative (YALI) has backed calls by citizens who have written to the Judicial Complaints Commission for the investigation and removal of Judges of the Constitutional Court on incompetence allegations levelled against them. 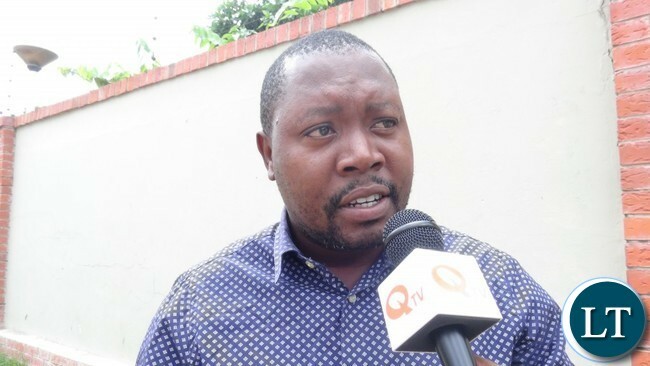 YALI President Andrew Ntewewe said his organization has read the argument forwarded by the some citizens who called for a thorough investigation by relevant authorities and that they share their stance to have the Constitutional Judges investigated for incompetence. Mr Ntewewe said the indecisions showed by the Judges was a recipe for anarchy in the country. “We have fully read the grounds by some citizens who have called for the thorough investigation, by the Judicial Complaints Commission, of Judges of the Constitutional Court and we share their stance that Judges of the Constitutional Court showed incompetence and failed to take charge of the proceedings when they kept giving conflicting rulings and directions to parties during the Petition, and redress to this can come from investigation of their incompetence by the Commission in line with Article 143 and 144 of the Constitution of Zambia. “When the Constitutional Court ruled on Thursday and Friday last week that the matter will be time-barred by midnight of Friday, 2nd September 2016, competent judges ought not to have U-turned on their own ruling by extending the hearing of the petition with 6 more days outside the 14-days time frame set by the Constitution. This was not only a recipe for igniting confusion in the nation but goes to the very foundation on deciding whether the Judges are competent or incompetent,” he said. He further added that “it is YALI’s considered view that if the Judges were competent enough, they would have guided and demanded that parties file their arguments to the petition within the timeframe as provided by the rules of the Court i.e. within 5 days for the Respondents from time the petition was filed on 19th August 2016 and 2 days for the Petitioners to reply. Sadly, the Court allowed parties to the petition to file responses almost at the close of the 14 day period in which the petition was to be heard. Had the Court showed competence and provided this guidance, the main petition would have been heard from August 27 to September 2, 2016. “As the nation is much aware, one of the grounds upon which Judges can be removed is incompetence and for this reason, we support calls by citizens to investigate the competence of the Judges in line with Article 143 and 144 of the Constitution of Zambia. We hope the Judicial Complaints Commission will speedily table this matter which is at the core of protecting the integrity and competence of the Judges in conflict management,” he said. Some citizens have written to the Judicial Complaint Commission to have the Constitutional Judges who handled the presidential petition investigated and removed due to incompetence. When you are about to perform a task as a professional, you need to make sure that you are trained and certified competent in that task otherwise your action will be deemed negligent because it puts the public at risk. It is clear that these judges were educated in law but could not be certified as competent in constitution law as they did not meet the standards set in the constitution. Saying they acted negligent is an understatement because these judges portrayed the worst form of incompetence in the way they handled the petition from the word go. Rome was not built on a single day! We must exercise patience and give them chance to learn from mistakes! It’s healthy to have differences of opinion not a situation where all toll same line. We should not think that these advanced democracies were perfect from the start, they may have gone through even worse off situation. When you are about to perform a task as a professional, you need to make sure that you are trained and certified competent in that task otherwise your action will be deemed negligent because it puts the public at risk. It is clear that these judges were educated in law but could not be certified as competent in constitution law as they did not meet the standards set in the constitution. Saying they acted negligent is an understatement because these judges portrayed the worst form of incompetence in the way they handled the petition from the first day to the last day. These judges ought to have known the competence issues in the constitution . Having a huge salary and allowances played a part in all this and they all need to go. i know this game . it is meant to hound the judges out of office, afterall they have served the very purpose they were appointed for .Regretably , the country has No Preseident as provisions of article 105(2) (b) which states : The president elect shall be sworn into office on the Tuesday following the seventh day after the date on which the constitutional court declares the election to be valid. The constitutional court failed to discharge its duty on friday 02/09/2016 by 23.59 hours when it adjourned its sittings to Monday ( or its mandate expired before a decision was made). There was therefore no declaration that the election was valid, rather we were all told that the concourt has no jurisdiction. ambanwa – Read the Constitution before opening your mouth. The Electoral Commission of Zambia declared the incumbent Edgar Chagwa Lungu President-elect. He could have already been sworn-in had there been no Petition. The Petition came and failed – the case (if there was any case), then becomes “washaut”). Inauguration proceeds. I support the formation of the new lawyers organisation as an alternative to opposition inclined LAZ. The new body should be called Zambia Professional Lawyers Organisation (ZAPLO) to provide for non partisan lawyers. Now because of the concourt actions, we dont even know whether the concourt did prform its job or not. deciding and throwing out are two different things. That is because we have a paid puppet whose family has been given big jobs in the diplomatic service. He rewards Lungu by bringing down the petition. These judges are useless cadres and they will rot in hell for the killing of democracy. Lungu is a useless alcoholic and we will watch Zambia go down the drain into backwardness from this foolish man. Thank you judges for betraying your education. observer- I understand your frustrations. The constitution is very clear. I contend that there were three sides to this matter.The Petitioner, the respondent and the Bench. Each had a specific role to play , the bench`s role was ultimately to declare the election as valid and they failed to do this on Friday 02/09/2016 before their jurisdiction expired. For the Chief Justice to swear in the president two things must be met ; the winner as declared by the electrol commission of Zambia and where there is a petition , the declararion by the Concourt that the election is valid.This the concourt failed to do and will not do as their jurisdiction expired. It surely takes courage and stamina to stand and swear before God Almighty in the sight of heaven and earth and in the sight of all in the stadium knowing fully well that you have stolen!!! Equally, it takes courage and stamina to bear witness before God Almighty and in the sight of heaven and earth to something that is stolen!!! I am in total agreement with Seer. Honestly if you know very well that you have stolen votes and you go ahead and hold the Holy Bible and swear to uphold the Constitution in front of multitudes of people at the stadium, then definitely your conscience will be haunted and you will not have a peaceful and restful existence for the rest of your natural life on earth. KangCourt are a disgrace to the Judiciary, not only in Zambia but in the entire world. Case citation is referenc to cases from all over the world used as guidance during trial. This case has demonstrated what damage K13Million can do. CJ Ireen Mambilima is the last hope for the Zambian Judiciary. The concourt judges breached the judicial responsibilty and are surely not fit to hold office. A judge shall uphold and promote the, independence, integrity, and impartiality of the judiciary, and shall avoid impropriety and the appearance of impropriety. A judge or candidate for judicial office shall not engage in political or campaign activity that is inconsistent with the , integrity, or impartiality of the judiciary. What is even more shocking is their refusal to hear the case at the WEEKEND…..and in that way giving cause to the argument that 14 days is not with Weekends included. I think the Judges who tried to lengthen the hearing were treasonous. There was a touch of Mutiny and an underground movement to fraustrate the peoples will and to prevent the inauguration and Speaker to takeover. Shocking! HH&Co were given the Zright to be Heard but failed to lift their case up. They cannot be entertained any longer. Vexatious and must be injunction to prevent any further efforts. High court must throw the current application too, or WE SHALL ALL TURN TO THE STREET. And there will not be one judge left in the Judiciary. Even with Corruption cases,…they are never firm, always adjournment after adjournment. This is now the story of Zambian Judiciary. They NEVER pass the law. If the three concourt judges who voted against proceeding with the petition won’t resign, I think Judges Chibomba and Munalula should be the ones to leave so that they are no longer part of this rotten system.If HH was given an opportunity to be heard for sure he could have won that petition. So they did everything in their power to stop him from presenting his evidence and they won.HH, be encouraged, time will catch up with those criminals and pathetic fools. Go on, enjoy your ill-gotten power. I truly believe that the Chief Justice is an Honorable Lady. With that said, she does not need to agree with the Constitutional Court’s decision to throw out the election petition before it is heard. It is not by chance that God placed her in that position of Chief Justice. The integrity of the Judiciary, and indeed her own integrity is now called into question, and begs a conscientious stand and response from her. Let the Honorable Chief Justice and her Deputy uphold the Constitution of the Republic of Zambia in the sight of God and people. If it takes the tow Honourable Justices to resign their positions, so be it. A good conscience, honor and integrity should be cherished far above the fear of man. They are just corrupt . They rushed to finish the case as to go to the bank . Very small minded stupid judges . who can arrest them even if they are found wanting, if that happens they have to go to court and court has become ECL playing ground who will convict them and arrest them just wast of time let us just live them. If you Zambians like YALI, Mutati, PF Thugs are saying these Judges are incompetent who is the most Incomptent Lawyer. Lungu was told that these people don’t qualify to be Judges in this court, did he listen No. He even mocked such people and said am the President let them make as much noise as possible. Is it not a fact that Lungu reward the Judge who signed an injunction for him at night to block Miles Sampa at Mulungushi. Its Lungu who you are saying is incomptent for appointing the wrong people. You all know that PF corrupted 3 Judges but you want to turn a blind eye. Why should a Judge mislead peole and set dates outside the timeframe on purpose. First of all, remove the person who appointed these incompetent judges. There is so much poverty in Zambia, did you expect these incompetent individuals to turn down the appointments? The problem is with the appointing person. I would not be shocked if some of these people called concourt judges have never ever presided on any legal case in their “professional” life time. I think these are kaponyas masquerading as judges. They just bought their qualifications. THIS INDEED BRINGS SERIOUS QUESTIONS ABOUT THE APPOINTING AUTHORITY. IT IS THE HEAD THAT ROTS FIRST. WHY BIT ABOUT THE BUSH.